Please Note: FAQs are related to initial enrollment in the Kern River Watershed Coalition Authority (KRWCA). Why do I need to join a coalition? 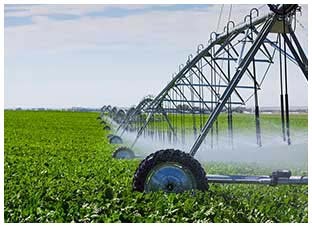 The Tulare Lake Basin General Order (Order R5-2013-0120) (General Order) requires any irrigated land having the potential to discharge to surface water or groundwater must comply with the requirements set forth by the Regional Board. Compliance with the General Order includes either membership in a Coalition (Third-Party) or by obtaining coverage through the Regional Board under an Individual Order. The Coalition provides the ability for growers to work together as a group and share resources to minimize redundant efforts to reduce overall costs. Some investigations and evaluations could require extensive expertise and costs that could be difficult for the average grower to complete on their own. Any irrigated lands landowner or operator within the boundaries of the Coalition can join and enroll parcels for regulatory coverage under the General Order. It is important that all irrigated parcels be covered by either the landowner or the operator; however, both do not need to enroll. The enrolling person will be designated as the “Member” and the contact person for compliance with the General Order for all associated parcels. The other associated entities (landowners and/or operators) will be responsible for compliance with the General Order as well, but will not be the primary contact person. What parcels should not join the coalition? If you have parcels that are associated with another discharge order or conditional waiver issued by the Regional Board, such as an existing dairy or food processor, those parcels should not be included into this Coalition. New and modified dairies and feedlots currently do not have applicable waste discharge orders, but are expected to be issued in the near future. If a Report of Waste Discharge (RWD) has been filed with the Regional Board the associated parcels do not need to be enrolled under the Member and included for coverage under the Coalition. However, the Member may choose to register those parcels now for coverage under the Coalition and wait for the other waste discharge orders to be issued. As the enrollment process progresses, the Regional Board will be issuing letters verifying that all parcels are being covered by the General Order or any other waste discharge orders. Once these letters are received by the Member, this would be time to clarify or confirm with the Regional Board if any other parcels are covered by another waste discharge order. What if I am currently a member of the Coalition under the previous program, how will I be notified to enroll in the groundwater program? The Coalition will notify members already enrolled in the Conditional Waiver General Order (Conditional Waiver) by letter which will include a Notice of Confirmation (NOC) and Membership Application. Upon receipt of the letter, there will be a period of time to enroll as a new member in the Coalition to obtain coverage under the General Order. The open enrollment period will be 180 days from the time the Coalition is approved to be a Third-Party by the issuance of a Notice of Applicability (NOA). Because of the differences between the Conditional Waiver and the ongoing evaluations and reporting required under the General Order, there will not be an automatic transfer of membership. Now all parcels (not just those having potential to discharge to surface water) need to be registered and grouped into memberships to aid in reporting farming practices and nitrogen management plans. One person (either the landowner or operator) will need to register all associated irrigated lands as the “Member” and be the point of contact for the Coalition and Regional Board for compliance with the General Order. After 180 days of the issuance of the NOA, there will be additional fees and processing to enroll parcels in the Coalition to obtain coverage under the General Order. What if I am not a current member of the Coalition, how will I be notified? The Regional Board will review the list of members enrolled under the Conditional Waiver and compare against the agricultural parcel list for the Coalition’s coverage area to determine if the property owner warrants membership notification. The Regional Board will then send out notices to potential members that were not enrolled under the Conditional Waiver to join the Coalition or to pursue coverage under the Individual Order for their irrigated acres. It is expected that as the Regional Board issues letters and as members enroll in the Coalition, updates to the membership list will be requested by the Regional Board. This will provide the Regional Board with updated lists of parcels not yet enrolled during the open enrollment process. What happens if I don’t join? Is there another option? Irrigated lands can be covered under an individual discharge permit. The fees charged by the Regional Board under the Individual Order are significantly more than the fees charged by Coalitions. Regional Board administrative fees for farms between 10 and 100 acres are currently comprised of a flat rate of $750 plus $5.00 per enrolled acre. In addition to the Regional Board administrative fees, professionals needed for preparation of evaluation reports, potential monitoring wells, and other regulatory requirements to implement the monitoring and reporting will add to this cost. Failure to participate in the Irrigated Lands Regulatory Program, either as a Member of a Coalition or under the Individual Order will subject the landowner to administrative penalties by the Regional Board of up to $1,000 per day pursuant to California Water Code section 13267. What should I expect under the General Order? The General Order covers discharges to both surface water and groundwater. Starting in 2015, Members will be required to prepare and submit a Farm Evaluation Plan, a Nutrient Management Plan, and, if applicable, a Sediment and Erosion Control Plan in 2014. The requirements for implementation, preparing, and submitting these plans vary depending on the size of the farming operations (above or below 60 total acres) and whether the parcels are located in a high- or low-vulnerability area. For a timeline of submittal requirements, see the Implementation Timeline (PDF). The Coalition will identify vulnerability designations in the Groundwater Assessment Report (GAR). The GAR will include a comprehensive study of available groundwater data, soil conditions, irrigation techniques, and other factors that potentially lead to the leaching of unused agricultural chemicals into groundwater. High-vulnerability areas are regions where groundwater is already contaminated or have a high-risk of leaching to groundwater; while low-vulnerability areas are areas where the risk to groundwater is minimal. The submittal of the GAR and determination of high- and low-vulnerability areas will occur approximately one year after the Coalition receives a Notice of Applicability (NOA) from the Regional Board. Under the General Order, all Members will be required to submit a Farm Management Plan. The Coalition will provide all Members with a template for the plan. The plan will be submitted to the Coalition and the Member will maintain an on-farm copy for Regional Board inspection, if requested. The Coalition will summarize the information in the Farm Evaluations received from Members and submit a summary report to the Regional Board. The summary report will not include Member-specific information. If your lands fall within a high-vulnerability designated area, Members will be required to complete a certified Nutrient Management Plan and submit a summary to the Coalition. Again, the Coalition will provide all Members with a template for the plan. These plans focus on nitrogen-based fertilizers and compare the amount of applied nitrogen against the crop nitrogen requirements. The plan can be certified by a Certified Crop Advisor, Pest Control Advisor, Soil Scientist, or Natural Resources Conservation Service (NRCS)-certified Technical Service Provider. Plans may also be self-certified under California Department of Food and Agriculture (CDFA), the NRCS, or the UC Cooperative Extension. For lands designated in a low-vulnerability area, Members will be required to complete but not submit the Nutrient Management Plan and maintain an on-farm copy for Regional Board inspection, if requested. Nutrient Management Plans in low-vulnerability areas do not require certification. The Coalition will summarize the information in the plans received from Members in the high-vulnerability areas and submit a summary report at a township level of detail to the Regional Board. The summary report will not include parcel- or Member-specific information. All Nutrient Management Plans need to be kept on-farm and made available to Regional Board staff if so requested. If your lands are susceptible to erosion or sediment runoff, Members will be required to submit a Sediment and Erosion Control Plan. 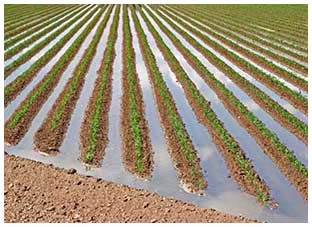 This plan outlines practices to be implemented to control erosion or sediment runoff during irrigation or storm events. The Coalition will notify the Member of any susceptible lands after the Coalition completes the Sediment Discharge and Erosion Assessment Report (SDEAR). A group of agricultural interests and growers formed to represent all “dischargers” who own or operate irrigated lands within the Kern River watershed within Kern County. See the Coalition Boundaries (PDF). What are the Coalition's goals? What if you don't join the Coalition? You must file a Notice of Intent with the Regional Board to obtain coverage under the General Order as an individual. The cost for coverage under the Regional Board as an individual discharger can be considerable; approximately 10 times the cost to participate in the Coalition. The individual members of the Coalition are an integral part of the performance of the Coalition. Failure of the Coalition to meet deadlines, develop the proper monitoring programs, or work to correct water quality problems would mean that individual land owners would be responsible for fulfilling those requirements. While the Coalition signed the Application to Serve in order to obtain Regional Board approval under the new General Order, it is Members who are ultimately responsible for participating in Coalition activities and pay their fair share of all costs to carry out the program. Land owner participants must agree to allow Regional Board staff, upon reasonable notification, access onto their property to determine compliance with the conditions of the General Order. Individuals are free to withdraw from the Coalition at any time and obtain coverage under the Individual Order from the Regional Board. “Within Existing Participating District” rates will be applied to irrigated acres located within water district boundaries that participated financially in the KRWCA during the past two years. Water districts that participated financially in the KRWCA are: Arvin-Edison Water Storage District, Henry Miller Water District, Kern Delta Water District, Kern-Tulare Water District, North Kern Water Storage District, Olcese Water District, Rosedale-Rio Bravo Water District, Semitropic Water District, Shafter-Wasco Irrigation District, Southern San Joaquin Municipal Utilities District, and Wheeler Ridge-Maricopa Water Storage District. “Out of Existing Participating District” rates will be applied to irrigated acres that are undistricted and/or located within water district boundaries that did not participate financially in the KRWCA during the past two years.